There are an estimated 4,800 jaguars in Mexico, found the study, carried out by a consortium of institutions and academics with remotely activated cameras triggered by sensors. That was a 20-percent increase from the first edition of the study, carried out in 2010. "The presence of jaguars ensures that these ecosystems function, by controlling the population of herbivores, and is also an indicator of the ecosystems' good health," said Heliot Zarza, vice president of the National Jaguar Conservation Alliance, in a statement released by the World Wildlife Fund. The jaguar, the largest feline in the Americas, can weigh up to 100 kilos (220 pounds), though the ones found in Mexico rarely weigh more than 60 kilos. The yellow, black-spotted cats are found in 18 countries across the Americas, 90 percent of them in the Amazon rainforest. There are some 64,000 jaguars in the wild, a number that has been shrinking, according to the International Union for Conservation of Nature, which has declared the animal a "near threatened" species. 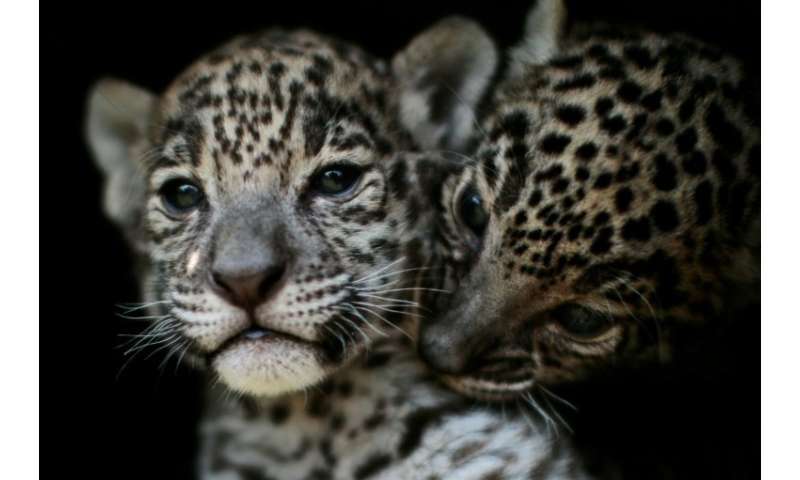 In Mexico, however, a conservation program launched in 2005 and overseen by Mexico's national parks service has bolstered the jaguar's population growth, said the lead researcher on the study, Gerardo Ceballos of the Ecology Institute at the National Autonomous University of Mexico. The jaguar also got a boost on March 1 when 14 Latin American countries signed an agreement at the United Nations on implementing a regional conservation program for the big cats through 2030. Researchers from 16 institutions and 25 academic groups carried out the study across 10 Mexican states, using a total of 396 cameras. Most likely this is due to the 'Narc's' releasing their pet Jaguars into the wild once they have grown bored with them.